An excavation team from New York University have stumbled on an undiscovered palace. 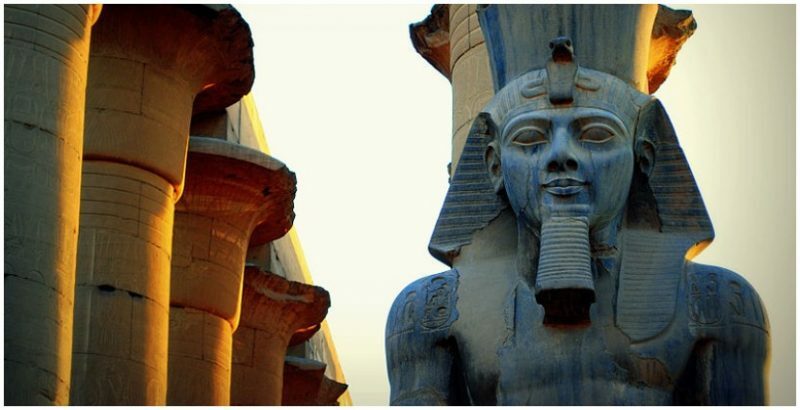 Located in the ruins of Ancient Egyptian city Abydos, it stands by the royal temple of famous pharaoh Ramesses II. 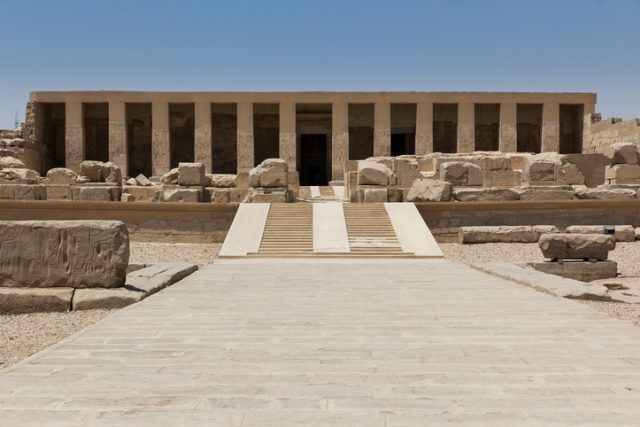 NYU’s excavation is exploring the remnants of an extensive building program that helped characterize Ramesses’ rule (1279 – 1213 BC). Newsweek writes that Abydos is “home to a royal necropolis where pharaohs from the earliest dynasties — such as Qaa from the first dynasty and Peribsen from the second — are thought to have been entombed”. Last week the team — or “mission” — noticed a stone walkway at the temple’s entrance to the southwest. 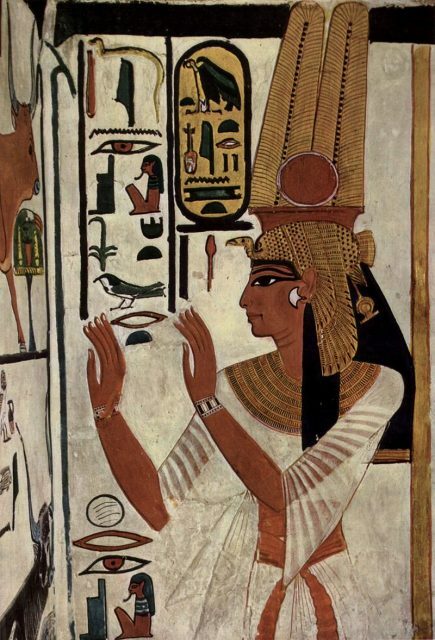 Following it led them to the secret palace, which contained attention-grabbing examples of “the cartouche — a hieroglyphic marking that denotes royalty” according to Newsweek. The palace is made of limestone and mud brick, with limestone floors. Mission director Sameh Iskander refers to a second hall, the base of which is a column of sandstone. Lintels can also be seen, bearing kingly inscriptions. Unfortunately for Seti I his son didn’t measure up when it came to war. 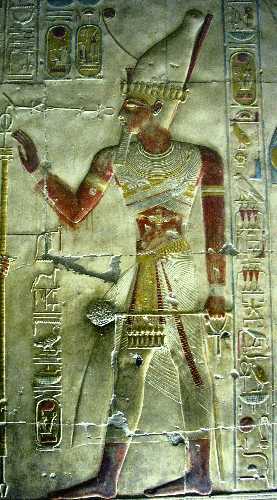 He fought the Hittites in Syria at the Battle of Kadesh (approx. 1274 BC) and eventually signed a peace treaty with them. As for his artistic side, the verdict has been mixed. 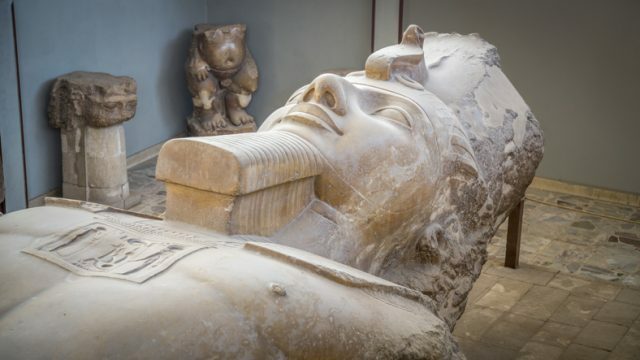 The BBC writes “Good art can be found in Ramesses’ reign,” but adds “it continued to flourish when not subjected to the dead weight of the king’s ego.” Also known as Ramesses the Great, he is believed to have been the subject of poet Percy Bysshe Shelley’s 1818 work Ozymandias, about a foolish king. 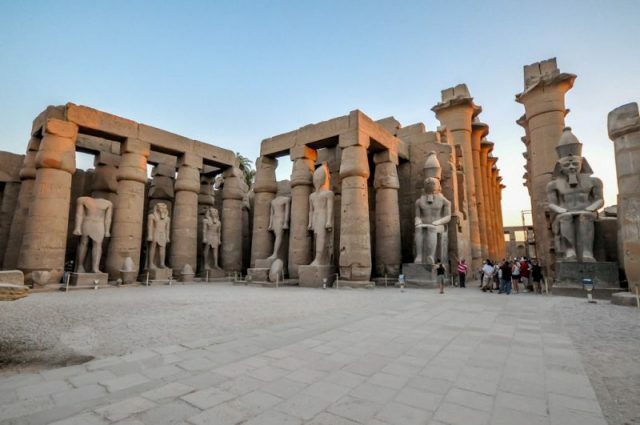 Ramesses II was called Ozymandias in Greek.